Glow, Bask & Bloom: My Spring/Summer Skin Care Revamp — keisha marie, co.
Disclaimer: This post was sponsored by Bask & Bloom Essentials but all thoughts and opinions are mine! Thank you for your support! I’ve never had much of an issue with breakouts or with my skin in general, until lately! It seems that my good skin fortune has run out and now I have to actually plan and stick to a regimen because I’ve started to deal with breakouts, scarring, oiliness, etc. The closest I’ve come to building a regimen was using sweet almond oil to cleanse and moisturize my face, then using witch hazel as toner. Honestly this got me by for a long time, but I was inconsistent. So when my lack of care started to literally show up on my face, I knew I had to get it together! When my skin was glowin and looking almost as smooth as my baby girl's skin. 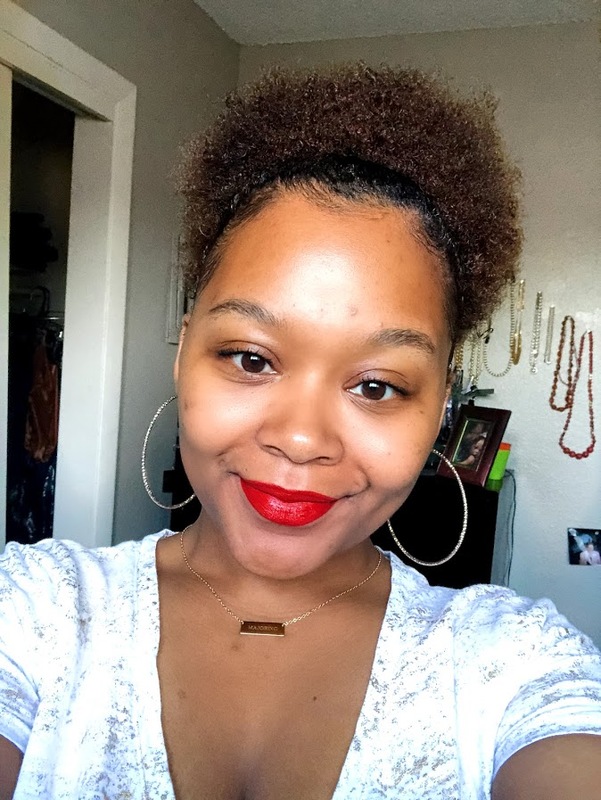 There were some pretty big lifestyle changes that I knew that I needed to make to help with my skin, but I also realized that I lacked the discipline to be consistent with a DIY regimen. So I wanted to find a product line that gave me the natural elements I was looking for, didn’t have a bunch of crazy ingredients I couldn’t pronounce, and also gave me the structure I needed to create a regimen. Bask & Bloom Essentials provides just that and I was so elated at the opportunity to not only showcase rebuilding my haircare routine with their products as my cornerstone, but also using their natural skincare line! It’s a bonus that Bask & Bloom is a business owned and operated by an amazing Black woman! “Our goal is to continuously offer quality products with the best ingredients to promote healthy hair of all types and skin. Our products are cruelty-free and we eliminate harsh ingredients that have the potential to create more health issues. The Bask & Bloom skin care line provides everything I need to create a step by step process and my skin is loving it so far! Here are the items I’ll be using in my regimen! Ingredients: Aloe Vera Juice, Green Tea Extract, White Tea Extract, Olive Fruit Oil, White Willow Bark Extract, Cocamidopropyl Bentaine, Decyl Glucoside, Organic Jojoba Oil, Sweet Almond Oil, Emulsifying Wax, Vitamin E, Panthenol, Vitamin C Esters, Xantham Gum, Activated Charcoal, Essential Oil Blend and Optiphen. Drink one gallon of water daily (this is priority #1 because I have been slacking on my water intake which is arguably the key to having clear, glowing skin. After my trip to Cali, no more drinking until further notice! Create mask mixture using liquid of choice (Aloe vera juice, green tea, water, etc). Apply dime-sized amount to pads of fingers on one hand and rub pads of fingers on both hands together and apply to face in circular motion. Gently scrub my face starting from my chin using a circular motion up to my cheeks, nose and forehead. Then I rinse with lukewarm water and allow to air-dry briefly. Spray 2-3 times to cover my face with a thin mist. Depending on the day I’ll either allow it air dry, rub it in with my finger tips or with a cotton ball. Side note: This is my favorite part! The toner is super light weight and makes my skin instantly feel refreshed! I’m super excited to start this healthy skin journey because I have come to appreciate my youthful face, but I don’t want to look like a pubescent teenager because I can’t get a handle on my breakouts! I also really love being able to go out with no make-up and not feel self-conscious because of having dark spots or pimples on my face. This new skincare regimen will also force me to take more “me-time” on things that are truly beneficial to me. Without going into too much detail, ya girl has been wasting time on some non-sense. Self-care has taken a backseat, sadly. So you will notice much of my content over these next several months will be very much centered on building myself up from the inside out. My skin will be an obvious manifestation of that! Be sure to head over to the Bask & Bloom instagram for some skin, hair and life inspo! Upclose and personal...you gone get this glow-up!